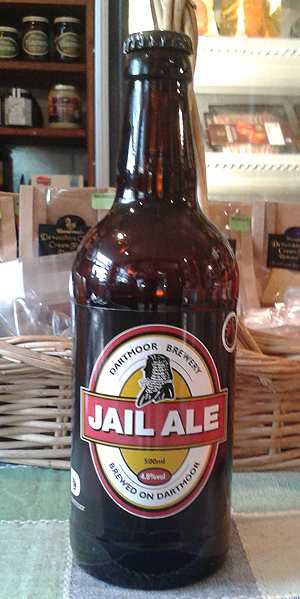 We specialize in Devon and West Country beer and always have an extensive stock. Whether you want beer the barbeque, party, or visiting friends we have the ale for every occasion. 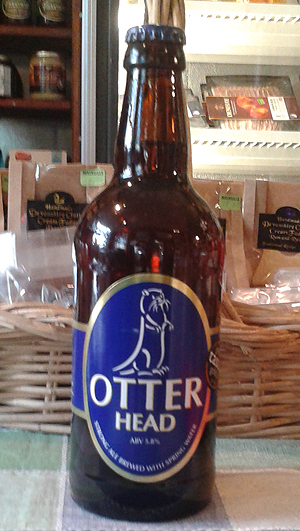 All Otter beers have their individual flavours and aromas. 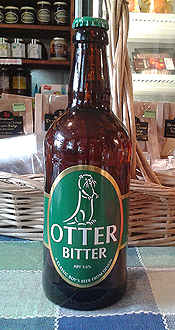 Drawing their own spring water and ferment with a unique yeast, these two ingredients, in particular, define many of the individual flavour tones of Otter beers. It is a beautifully light and fruity beer with good hoppy bitterness. It leaves a refreshing bitterness which prompts the next gulp. A wonderful, old fashioned, 'session' beer. Brewed for drinking with no frills. 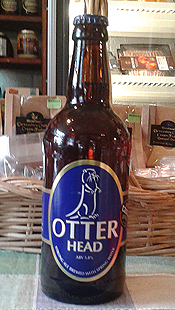 Otter Ale is a very well balanced beer that delivers the flavours of quality floor malted barley and finishes with a combination of fruit and some bitterness. Its nose is a balance of malt and fruit. So pale that it can easily be mistaken for lager and it delivers a great bitter citrus flavour with lots of fizz. A cool cellar temperature will add to its refreshing qualities. 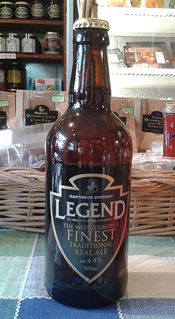 a distinctive barley wine old ale character. It has a malt, fruit sweet flavour which gives way to a long bittersweet aftertaste. It has a well balanced aroma that reflects its taste and is deep red brown in colour. Situated in the very heart of Dartmoor National Park, remaining family owned to this day, and now brewing from a purpose built brewery on the site of the old Princetown Railway. This is a highly drinkable amber coloured beer. It has a deliciously smooth thirst quenching taste and subtle hop aroma. The combination of cool pure Dartmoor Water, the finest Devon Grown Malted Barley and the best of English Hops has created a classic cask conditioned beer smooth full flavoured and balanced with a delicious crispy malt fruit finish. Quercus Devon Ales has been brewing in the beautiful South Hams since 2007 and has recently been acquired by two local residents, John Tiner and Mike George. "To produce imaginative, quality ales that will challenge your senses and inspire you to think more about the beer you drink and you drink it"
Golden Ale 4.2 ABV A light, easy drinking ale with a fruity citrus aroma and flavour giving a subtle, crisp bite to refresh the palate. Smooth to the taste with a crisp, revitalizing finish. Quaffing Ale 4.0 ABV A deep appealing aroma and colour give a hint of the prospect to come. The balance of subtle bitterness and sweet malt flavours make that prospect a reality. Thirst quenching and eminently drinkable; a fine quaffing ale. Ale 4.6 ABV A rich mahogany coloured ale with a sweetness and warmth that will wash the winter blues away.